Before every Windows release there are articles about the reluctance of business user to adopt the new OS. Often they are correct, as businesses like to test the new Windows thoroughly. With Windows 10, though, I believe it is different scenario, as many business did not jump on the Windows 8/8.1 upgrade cycle and are thus more eager to move to Windows 10. Now a new survey was published that show rather positive numbers. It’s likely that the true outcome is somewhere in between, but I expect Windows 10 to do well. Windows 10 – kostenlos oder nicht? Gerade lese ich einen interessanten Artikel zu diesem Thema. Hier beklagt sich Stern Online zu Recht, dass das kostenlose Upgrade-Programm von Microsoft verwirrend ist…und man deshalb die Meinung vertreten sollte, Windows 10 kostenlos für alle herauszugeben – eine einfache und elegante Lösung? Ich gebe zu, ich bin ein Vertreter der Software-Industrie und verdiene mein Geld mit Software…und ich erhalte nur Geld, wenn neue Versionen besser sind als die alten. Davon abgesehen brauchen Anwender neue Software, um mit ihr neue Hardware, neue Betriebssysteme und natürlich neue Bedürfnisse abzudecken. Ist es nicht vollkommen berechtigt zu sagen, dass der Entwicklungsaufwand und die damit verbundenen Kosten in den Preis einer Software einfließen sollten? Warum der Ruf nach kostenfreier Software? Eine mögliche Erklärung ist wohl die Annahme, dass Software als solches keine Produktionskosten verursacht und es sich demnach tatsächlich anbietet, Software kostenfrei zur Verfügung zu stellen. Aber das kann wohl doch nicht das Argument sein, denn ansonsten hätten wir ja auch die Erwartung, dass alle intellektuellen Leistungen wie z.B. die Leistungen eines Redakteurs kostenfrei sein sollten. Ebenso stimmt es nicht, dass Software mit keinen Kosten verbunden ist: Downloads, Unterstützung, Fehlerbereinigung und Kundendienst kosten nunmal Geld. Ein zweites potentielles Argument wäre, dass es die anderen ja auch tun (Firmen wie z.B. Google bieten ihre Software kostenlos an). Das mag stimmen, aber finanziert sich Google nicht gerade aus indirekten Umsätzen, indem die Firma die Form des kostenfreien Software-Vertriebes nutzt, um damit Werbung zu verkaufen? Es ist vollkommen legitim, wenn Software frei genutzt wird und man dadurch einen indirekten Umsatz ankurbelt. Ein drittes Argument könnte sein, dass eine Firma sowieso schon so viel Geld verdient, dass sie das zusätzliche Geld nicht braucht (wie auch im vorliegenden Artikel beschrieben) – eine schöne Idee…wenn sie dann auch auf alle Wirtschaftsunternehmen angewendet wird! Ich persönlich fände es keine schlechte Idee, wenn deutsche Großunternehmen einen Teil ihrer Profite in kostenlose Produkte investieren und danach unter denjenigen verteilen würden, welche die Produkte auch wirklich benötigen. Das würde unsere freie Marktwirtschaft gehörig revolutionieren…und die Aktionäre erschüttern. Auch wir veröffentlichen hin und wieder zu bestimmten Anlässen Gratis-Kopien eines Produkts für unsere Anwender, jedoch wehre ich mich gegen diese kategorischen Forderungen nach kostenloser Freigabe von Software, Musik, Film und Video. Wenn sich dies auch wie ein überholter Slogan anhört: Innovation hat seinen Preis. This is written for our Deutsch readers. Die Freude auf einen neuen PC währt immer nur solange, bis man an den Punkt kommt, die Daten, Einstellungen und Applikationen und den neuen PC zu transferieren. Nach stundenlangem Hin-und Her, Suchen nach Seriennummern, versteckten Einstellungen und dem Verlust kostbarer Daten ist die Freude lange verflogen. Und wer hofft, dass der Umzugshelfer von Microsoft – Windows Easy Transfer – wenigstens die Daten und Einstellungen kopiert, wird bei Windows 10 schnell enttäuscht. Das Programm gibt es nicht mehr in Windows 10. Anstelle setzt Microsoft nunmehr auf eine Kooperation mit dem Umzugsspezialisten Laplink, dessen PCmover bereits im letzten Jahr Anwendern kostenlos für den Umstieg von Windows XP zur Verfügung gestellt wurde. (http://www.microsoft.com/windows/de-de/xp/transfer-your-data.aspx). Was Microsoft für Windows 10 plant, bleibt wohl ein Geheimnis bis zur Freigrabe des neuen Betriebssystems. Für Schnäppchenjäger, die von Windows 7 oder 8 heute schon umsteigen wollen, empfehlen sich die kostengünstigen Pakete von Avira („Internet Security Suite“) oder O&O („Umzugshilfe“), die es im Fachhandel gibt und die eine Version von PCmover beinhalten. Oder man bedient sich gleich bei Laplink: www.laplink.de. Of the greater than 100 different ways to move to Windows 10 from Windows XP, Vista, 7, 8, and 8.1, less than 20 are allowed by Microsoft to implement an in-place upgrade. This means that very few of the scenarios keep your applications, data and settings “in-place”– in other words, still installed on your computer, and in the same location as before. The debut of Windows 10 is likely to have the effect of increasing the demand for PCs with a mouse and keyboard. Yet even in mature regions, which are actually strong markets such as the United States, PC sales are still expected to drop by 5.1 percent this year, despite the arrival of Windows 10. Microsoft’s announcement that upgrades to Windows 10 would be free for the first year for all Windows 7, 8, and 8.1 users also likely had the effecet of discouraging new PC sales. With such an easy option to upgrade directly to the new OS without updating hardware, the first year of the Windows 10 release is likely not going to see huge jumps in new PC sales. One challenge will remain for users upgrading to Windows 10 for free: while there are many ways to migrate data and applications PC to PC, few scenarios actually support an in-place upgrade without erasing the old data, or overwriting the new OS. For any remaining Windows XP users, all Windows Vista users, any 32-bit Windows 7 users, and any users remaining on Windows 8, they cannot easily upgrade to the new OS without purchasing third party software. While users of 64-bit Windows 7 and users of Windows 8.1 will have a comparatively easier time, it still won’t be a straightforward process. All other scenarios require a “clean install” of Windows which can be done either by reformatting the hard drive or by “over-installing” the new operating system. Both cases result in the applications, data, and settings being moved to different directories and the applications are not registered with the new OS. If you want to know how to complete an in-place upgrade to Windows 10 with Laplink’s PCmover software, watch this video here. The easiest way to enjoy the latest Windows release would, of course, be to buy a new PC loaded with the new OS and to use PCmover Professional to migrate all the applications, data, and settings from your old PC to this new PC. But PCmover also supports in-place upgrades to Windows 10, and transfers all the old OS’s files, settings, profiles, and applications without overwriting the new operating system. For standard hardware refreshes and as-needed PC replacements, PCmover can operate across a corporate network, cross-over Ethernet cable, Laplink USB cable, or a portable storage device, offering a flexible, time-saving and simple solution for automating the end-to-end process. Windows 10 Home will be the version used by consumers on PCs and larger tablets, the focus here will be more so on retail. 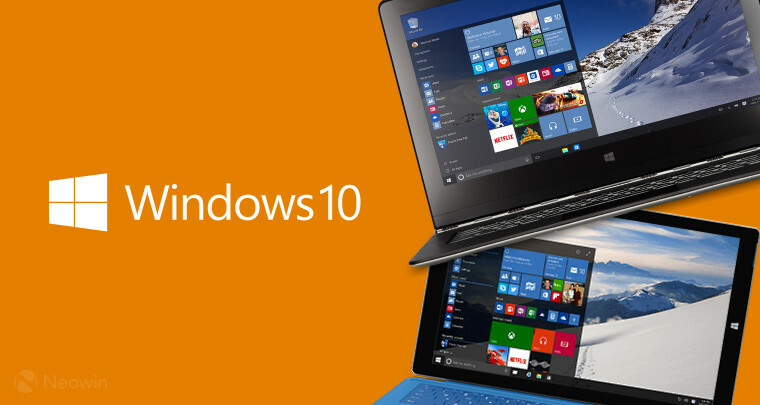 Windows 10 Professional is designed to run on desktops, laptops, 2-in-1s and tablets. Additional features in the area of business management and security, this version is aimed at users who will have a machine supplied by work but might also want to use it for personal tasks. Focus is retail again. Windows 10 Enterprise is the version targeted at larger businesses, and will be sold through Microsoft’s Volume Licensing program. It adds additional security and management features, and gives administrators control over the pace at which updates are released. There will be some stripped -down versions (embedded use) for devices like POS’s and ATMs. Windows 10 Mobile will run on smartphones and smaller tablets (with a screen size of 9 inches or less). This is the product currently known as Windows Phone. Windows 10 Mobile Enterprise is a business-focused version of Windows 10 Mobile, also sold via Volume Licensing. Like Enterprise, there will also be a cut-down “industrial” edition for handheld terminals and other task-specific devices. Windows 10 Internet of Things Core is a very stripped-down version of Windows 10, designed for “small footprint, low cost devices like gateways.” Microsoft has previously indicated this version will be free. Windows 10 will be more user friendly than Windows 8, including a redesigned Start menu, virtual desktops, and re-sizable Windows Store apps that behave more like legacy apps. Many of the improvements will be especially important to businesses, allowing them to deploy & manage PC’s running Windows 10 more easily and cost efficient than ever. PC users ready to migrate or upgrade to the newest operating system by Microsoft should consider Laplink’s PCmover software to complete this upgrade quickly and easily.